On women astronauts past and present there are great sites (NASA), art (Aleksandra Mir), articles (below) and books (Stephanie Nolen) out there. Here’s three cheers to women studying and exploring space in the earliest days and today. Women in STEM teach us about the world and also inspire younger women to study and explore the sciences, the world and beyond. 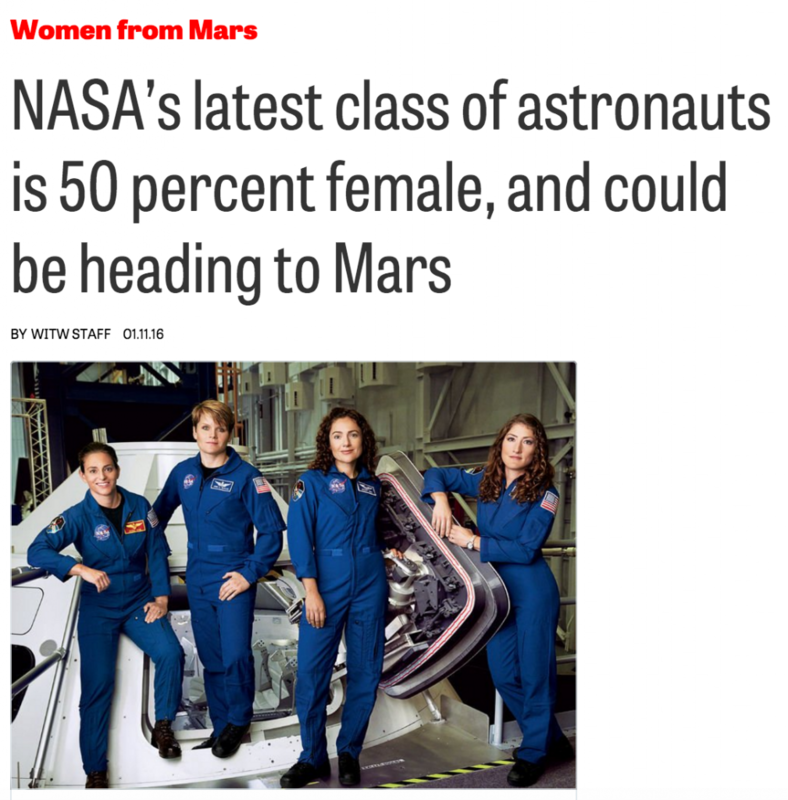 National Geo’s 2013 story’ says half of the newest astronauts are female, but that wasn’t always the case. 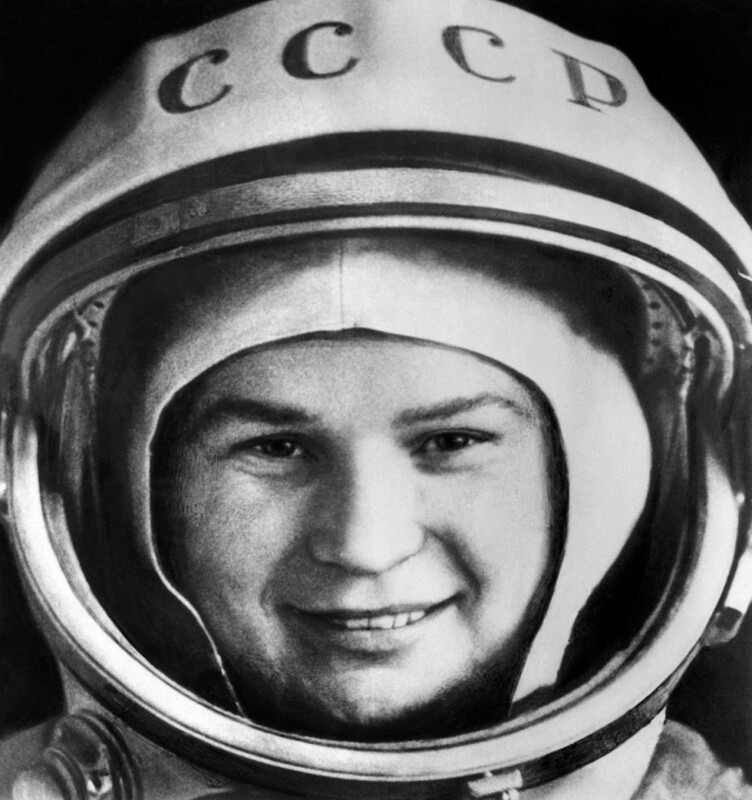 Russian cosmonaut Valentina Tereshkova, the first woman to fly in space, 53 years ago. Canada’s Roberta Bondar and Julie Payette are other amazing astronauts. In the early 1960s, 13 U.S. female pilots were selected for an Air Force pilot project at the Lovelace Clinic in New Mexico. They had passed all of the physical and psychological tests that the original Mercury 7 astronauts had taken, and were expected to receive further testing at a Navy facility in Florida—leading to open spots in the astronaut training program. Days before the testing began, however, the women received telegrams from NASA telling them that the space agency wouldn’t allow them to use the Navy facility. The women went to Washington, pleading for the program to continue. Women in space remained undesirable throughout the entire Apollo mission. In fact, it would be 20 years before the late Sally Ride became the first U.S. woman in space, piloting the space shuttle Challenger in 1983. That wasn’t an easy ride. The world has changed, and keeps changing. A toast to women, science and perspectives from afar.